We whipped up this delicious drink for New Year’s Eve. Something zesty and tasty to welcome summer and ring in the new year! 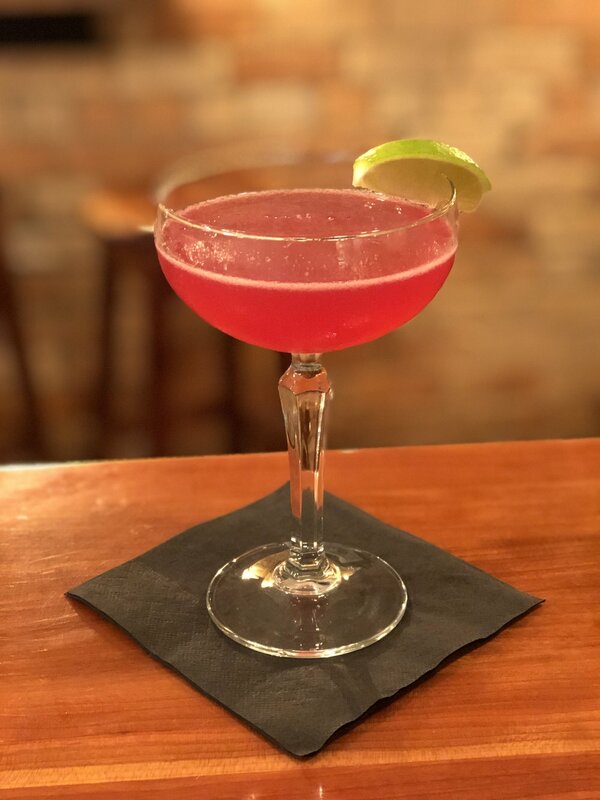 Beefeater gin, fresh lemon juice, Creme de Violette, raspberry syrup, grapefruit bitters. Spring is upon us and the sun has come out again on the lane. 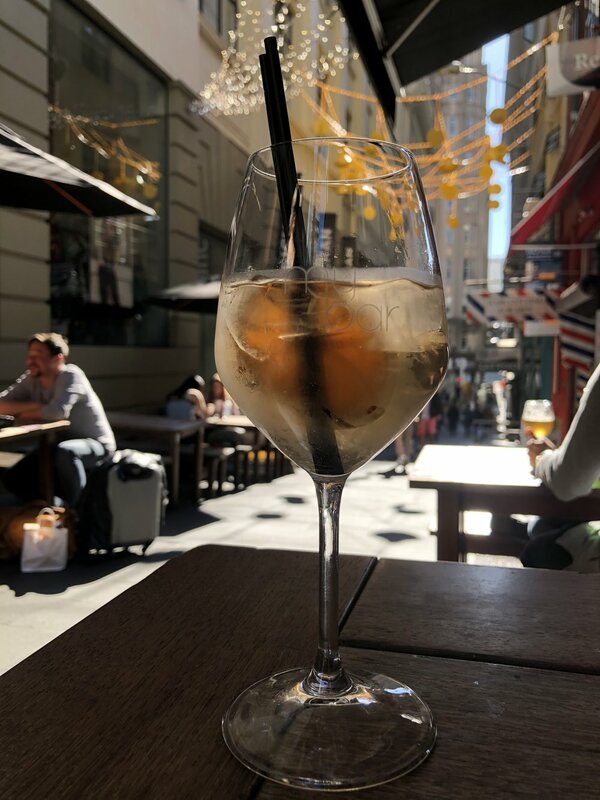 With the change of season we have gone for a lighter style of drink for our Cocktail of the Moment, Spring Spritz; Belvedere Citrus, fresh lemon juice, Creme de Peche, topped with bubbles. This refreshing drink is served in a wine glass over ice. This delicious collaboration between gin and fresh basil screams of a beautifully herbaceous drink. Mixing two gins together; New Zealand's very own Hidden World Guardian gin, and classic Beefeater London Dry, fresh lime, fresh basil leaves and a hint of Creme de Figue. This bright and fragrant drink was the perfect end to a very late summer and to see us in to the winter months. Unfortunately this cocktail was so popular we never got a decent photo of it. With this years Bacardi Legacy competition upon us, we've decided to showcase a fantastic drink from a good friend of mine, James Millar. A beautiful combination of Bacardi Carta Blanca, Dry Vermouth, Apple Liqueur and Umeshu stirred down over ice and strained into a chilled Absinthe rinsed coupe. This drink is inspired by the love of family & the bar community / industry and of course the Bacardi Legacy La Gran Familia. to kick off our new cocktail of the moment blog we've selected our most popular cocktail of the moment from last year! Enjoy! With summer coming to a close we've designed a delicious drink with a generous helping of crushed ice. A refreshing and crisp combination of Beefeater gin, MONIN Yuzu puree, fresh lime, apple juice, Hopped Grapefruit bitters with a splash of tonic water for good measure.